Cobble Hill Farm just got cuter! 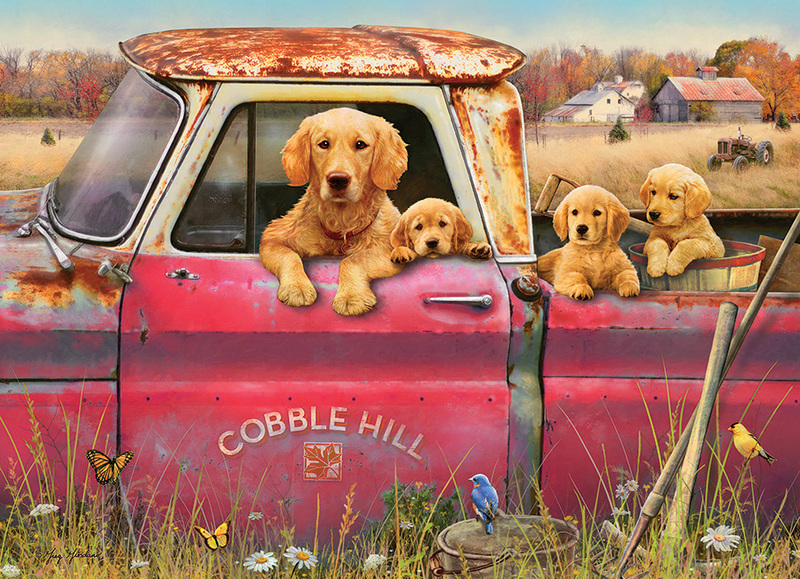 An adorable pack of pups and momma dog await their ride in the rusty vintage truck. The birds and butterflies curiously watch the excitement in this 1000 piece puzzle. Item # 80116 Weight 1.61 lbs.